2017. Free-hand sculpted glass head, hands, arms, legs, and feet, metal, fabric, epoxy resin. 25in H x 20in W x 30in D (64cm x 50cm x 77cm). Photo Credit: Karel De Bock. 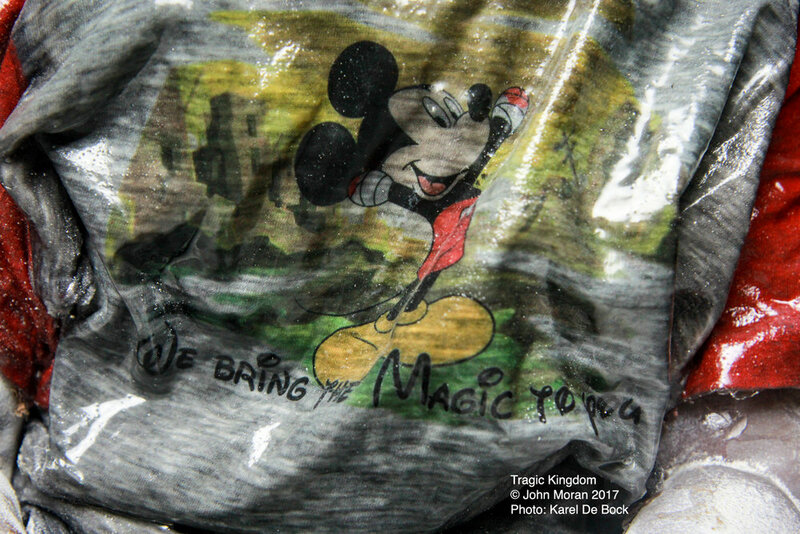 Tragic Kingdom is a reaction to the media fascination with the image of Omran Daqneesh after he was pulled from the wreckage of his school after a bombing... and then filmed and photographed. The image inspired me to imagine this boys life and question the differences between his and the lives of other children living in different situations. His clothing references a twisted reality based on a 'normal childhood'.